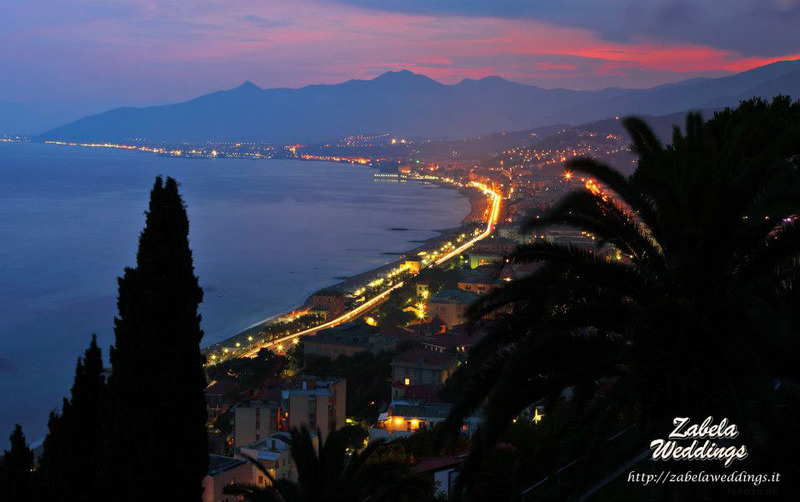 Vladimir and Natalia arrived in Liguria for a wedding ceremony at the end of their long journey around Italy. They were overwhelmed by emotions after seeing so much beauty in different parts of this wonderful country , but Ligurian landscapes seemed the most impressive, and as they say were above any expectations ! It was exactly what they needed to finish such an amazing trip. A symbolic wedding ceremony was scheduled for the evening , so in the morning the couple dressed up for a photo shoot near the sea . They wanted to cross the Gulf of Poets on a sailboat , but not on an ordinary one , they were dreaming of an old one! 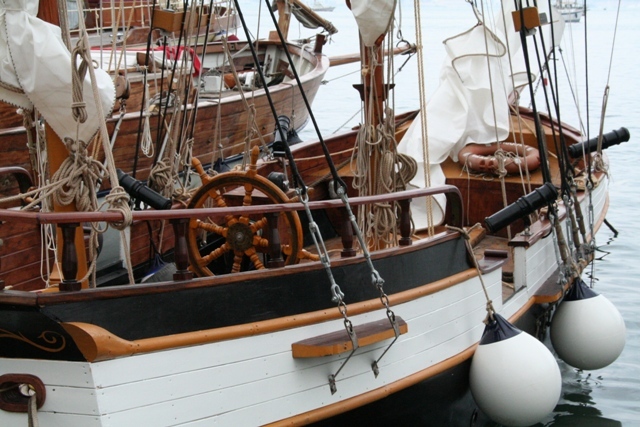 They liked the idea so much that even a pouring rain has not prevented them from sailing. 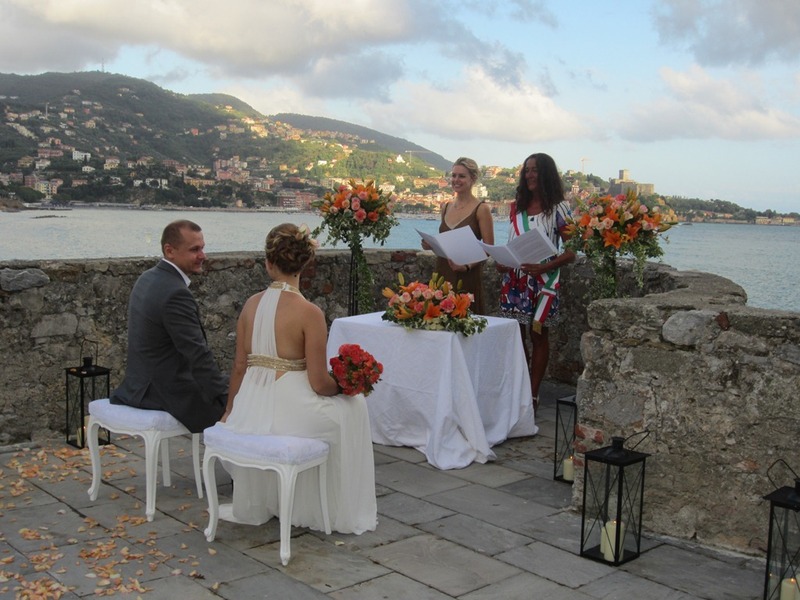 Fortunately, the rain stopped after the lunch, and the ceremony on the outdoor terrace of the castle by the sea was still possible. Only a strong noise of the high waves reminded about the storm. In order not to stress the newlyweds, we always prepare the vows of love in advance and just ask them to repeat them after the registrar. Therefore it was especially exciting for us when Vladimir and Natalia prepared themselves their vows and started reading them to each other . It was so romantic and touching!
" 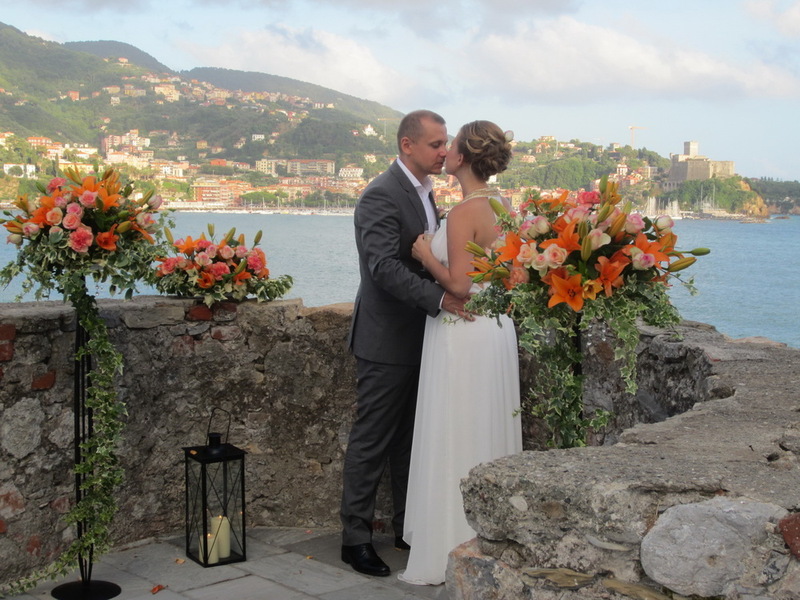 We will never forget our wedding in Italy! We felt like the heroes from some fairytale . Everything was organized without a hitch. Even transparent umbrellas were prepared for us. And how many colours, candles and ornaments were there! While climbing the numerous stone steps of the castle we felt our hearts beating with delight! We are very grateful to Yuliya and her assistants. 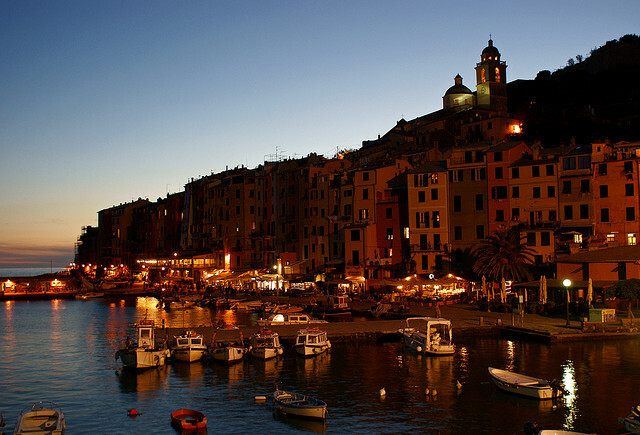 We will be looking forward to return to Liguria as soon as possible!